Prior to the 1920s, the West End of Alexandria, Virginia was at one time or another considered to be in Fairfax, VA or in Arlington, VA. By the 1920s, West End was considered Alexandria, VA. In celebrating Alexandria’s history, this blog is on the West End of Alexandria. 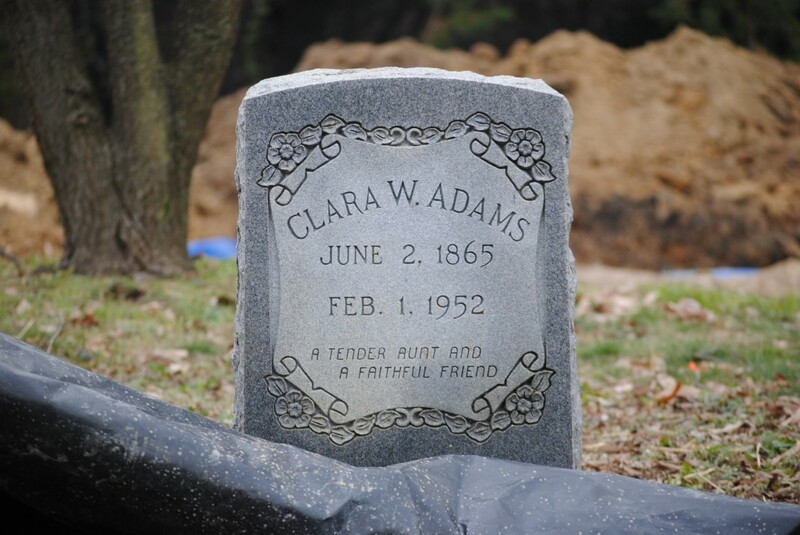 A tribute to Clara Shorts Adams and her husband, Robert Adams for contributing quarter-acre land to the Falls Church School District in Fairfax County for an African American School in 1898. The one room school building was built on the land that the Adams gave to the Fairfax School system. Clara Shorts and Robert Adams married January 2, 1886 in Fairfax County, VA. Clara was the daughter of Harriet Stewart McKnight Shorts and Burr Shorts. Her husband’s parents were George and Ann (Annie) Adams. It is believed that Clara’s parents were enslaved prior to 1865, but Clara’s husband, Robert’s parents, were freed people of color prior to 1865 living in the City of Alexandria. This small act of kindness by Clara and Robert is still remembered a hundred and seventeen years later by their descendants in the West End of Alexandria. Fort Ward (part of the West End) area of Alexandria, Virginia has a rich history of early African Americans owning their land and building their community as part of Alexandria today. Although the one room school is no longer there, the contribution made by Clara and Robert is still remembered in the Fort Ward and Seminary communities. In celebration of the end of the Civil War, I salute the Adams’ family for their commitment to education! This entry was posted in Education and tagged Alexandria West End, Clara Shorts Adams, Fort Ward, Robert Adams, Seminary. Bookmark the permalink.